LED Indicators. 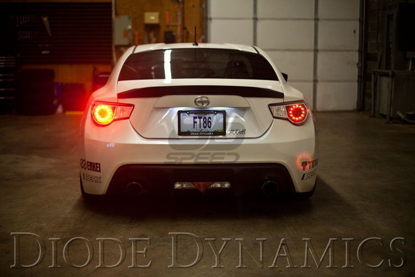 The factory incandescent turn signals on the Scion FR-S illuminate in a slow glow, taking a moment to turn off and on. With replacement LED bulbs, you can immediately update your vehicle with the instant on-off blinking of modern LEDs. 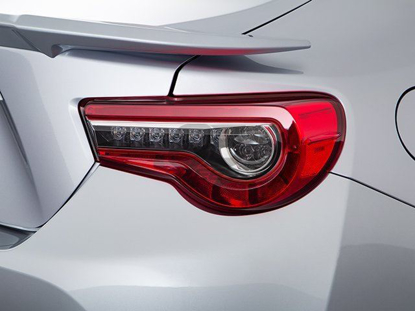 This instant activation adds a modern and distinct look to the FR-S.
Dual Brightness. The FR-S uses a 7443 dual-filament bulb. They light up with low power as parking lights, then they get brighter when the turn signal or hazards are activated. The brightness ratio of your factory bulbs is traditionally 15:100, or 15% lumen output for the dim function. 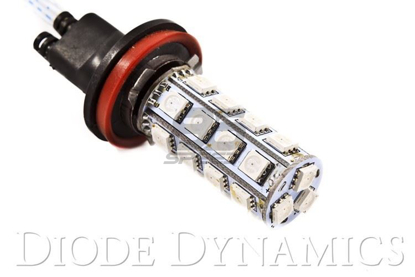 Diode Dynamics bulbs are designed to match this, so there is enough distinction between "low" and "high" brightness levels. As with all Diode Dynamics LED bulbs, these turn signal bulbs are rated with accurate, measured lumen figures, not calculations or guesses. Switchback. The dual-filament function of your factory turn signal bulbs gives you the ability to choose a unique LED bulb model: switchback! 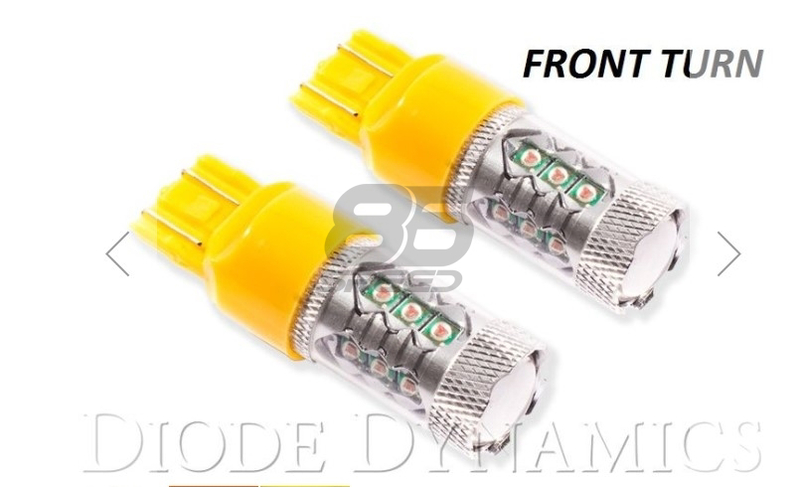 These bulbs illuminate in a bright white for the "low" power setting for your running/parking light, then switch to intense amber when the turn signals are activated. When the turn signal is switched off, they return to the original white output. The result is a modern dual-color effect, as seen on many high-end vehicles on the road. Please note: in order to properly see the white, you must have clear reflectors/lenses over the turn signal bulb. 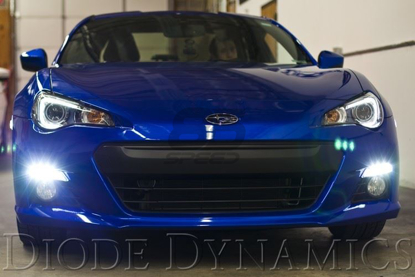 If your FR-S has amber reflectors, you might be able to find clear aftermarket ones to complete this upgrade! Reduced Load. When it comes to LED upgrades, you'd think the lower power draw would be a great feature! However, the FR-S looks for a specific power draw from the turn signals. LEDs will make the vehicle think a bulb has gone out, due to lower power draw. 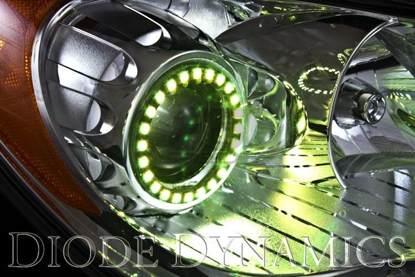 This causes a "hyperblink," or fast-blinking turn signal, which can be corrected with LED Resistors or an LED Flasher. You may have also heard of flasher relays, which is the actual module that determines flash speed. On some vehicles, it can be replaced with one that is designed for LED power levels. However, on many newer vehicles these modules cannot be replaced. If it's possible to replace the flasher on the FR-S, you'll see one listed above. Only one flasher is needed per vehicle, for both front and rear LED turn signal conversions. Bulbs will turn on and remain white when lights are on, bulbs will turn from amber OFF simultaneously while turn signal mode is enabled.